I think, that Jupiter’s gravitation needs to be even larger than you calculated, because the Earth would be in “free fall” too. 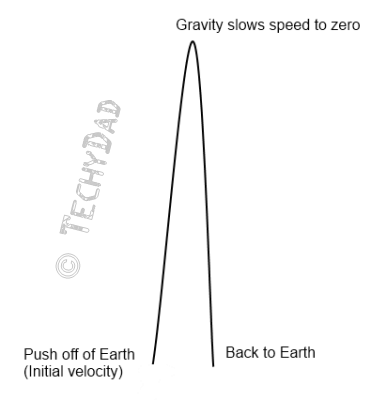 It is bascially the same reason, why there are zero-g planes available and astronauts are usually in weightlessness. Currently Earth is “feeling” a small force towards Jupiter but so does everybody on Earth with almost the same magnitude. The only difference would be because we are not in Earth’s center but about 6 Mm away from it. 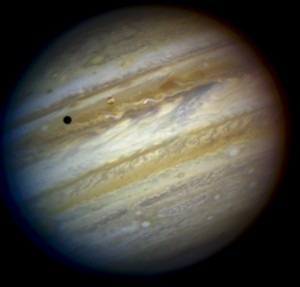 So sometimes we are further away from Jupiter, than Earth’s center. 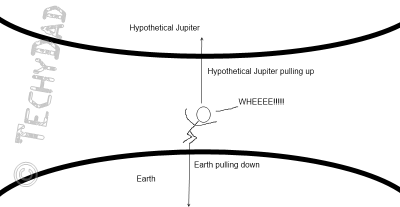 So both Earth and you are falling with the same acceleration towards Jupiter. Thus you won’t feel a difference. Of course it could work if you have a rig which fixes the distance between both planets.